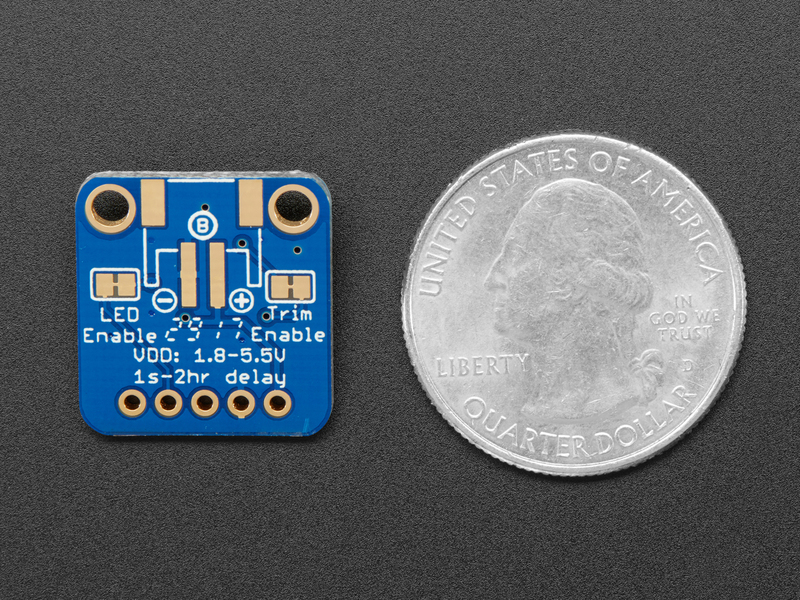 The Adafruit TPL5111 Reset Enable Timer is a stand-alone breakout that will turn any electronics into low-power electronics! It will take care of enabling & disabling your electronics using a built in timer that can vary from once-every 100ms up to once every two hours. Basically, the TPL will set an enable pin high periodically, adjustable by potentiometer or resistor, and turn on your project's power. It will then wait until a signal is received from the project to tell the TPL that it can safely disable the project by setting the enable pin low. 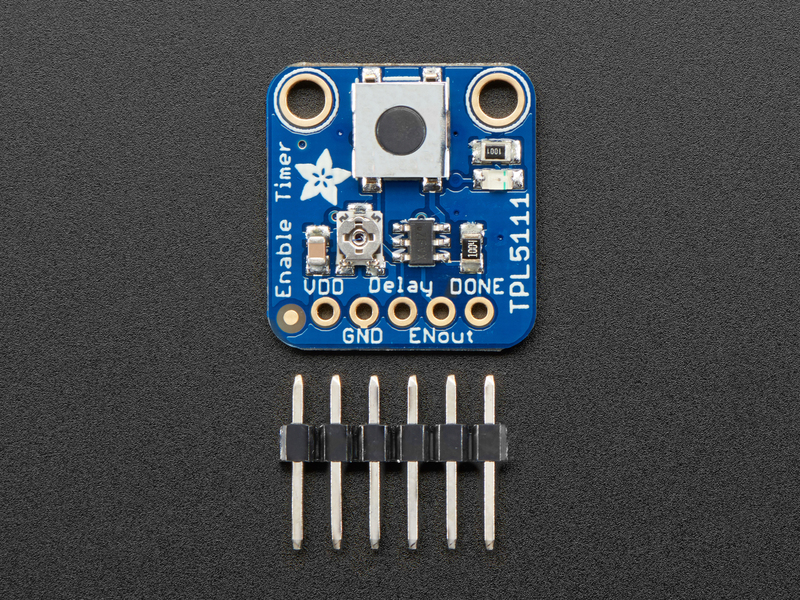 If the TPL does not receive a signal by the set time-out, it will reset the device like a watchdog timer. 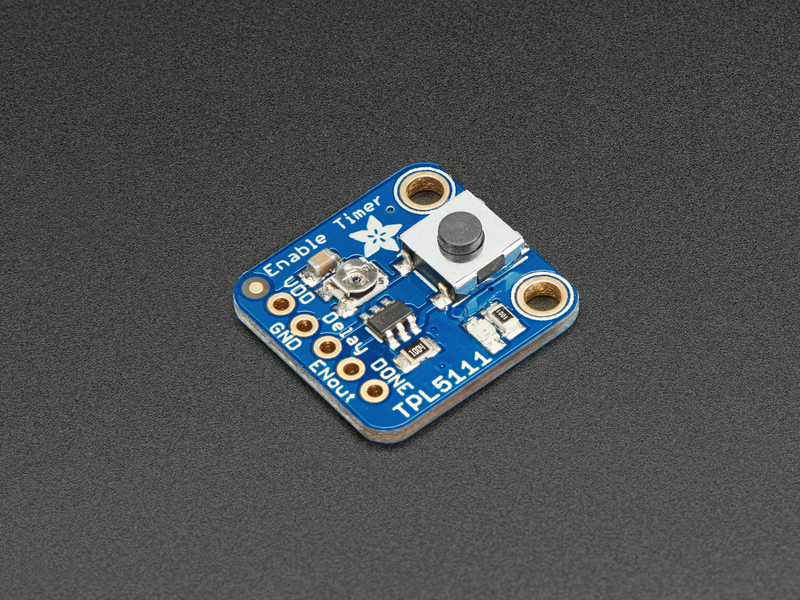 We also have a TPL5110 breakout , which rather than setting an enable pin high/low, connects and disconnects power. The TPL5111 breakout is best when you have an enable pin you can control, the TPL5110 is best when you are able to 'break' the power input line to place the TPL5110 between the power supply and Vin.